*Participants who will attend the Christmas Caroling MUST join the TWO practices on 12 November (Sunday) and 10 December (Sunday) (Practice Time: 2:30pm – 4:45pm). LLWS reserves the right to allow participants who cannot join the practices to attend the event. 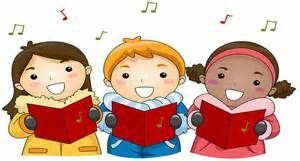 It’s also our choir practice on 12 November and 10 December and there will be a Parents Group Activity (“Environmental Protection Workshop”) on 12 November. Parents are cordially invited to come and join and please inform us if you would like to apply for the event. Please contact us if you have any questions on the event. We look forward to your participation. Thank you!